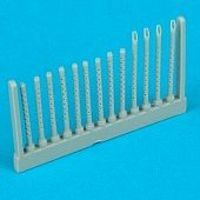 Shop online for over 1,500 quickboost plastic models at discounts up to 50%. 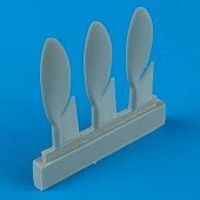 This is the 1/72 Scale Fw190A8 Wide Propeller Blades for Hasegawa by Quickboost. 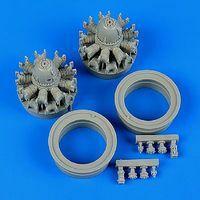 This is the 1/48 Scale A10A Correct Fan Blades for Italeri by Quickboost. This is the 1/48 Scale B25 Mitchell Seats w/Safety Belts by Quickboost. This is the 1/48 Scale 1/4D SBD Dauntless Life Raft Container for Hasegawa by Quickboost. 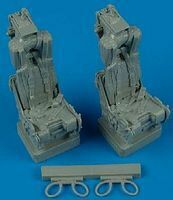 This is the 1/32 Scale F4 II Ejection Seats w/Safety Belts by Quickboost. 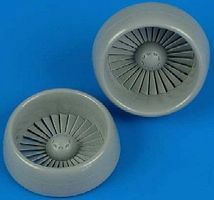 This is the 1/48 Scale PV1 Ventura Engines for Revell by Quickboost. This is the 1/72 Scale Spitfire Mk I Seat w/Safety Belts by Quickboost. This is the 1/48 Scale PBY5 Catalina Engine for Revell-Monogram by Quickboost. This is the 1/48 Scale Yak38 Forger Correct Vertical Engine & Cover for Hobbyboss Quickboost. This is the 1/48 Scale F16 Block 5-10 Floating Elevator by Quickboost. This is the 1/48 Scale F4U5 Corsair Correct Engine Reductor for Hobbyboss by Quickboost. 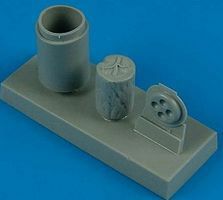 This is the 1/72 Scale B17 Oxygen Cylinders by Quickboost. 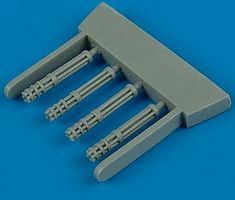 This is the 1/72 Scale P47 Gun Barrels by Quickboost. This is the 1/48 Scale B25J Mitchell External Gun Packs for Revell Monogram MX by Quickboost. 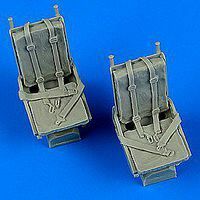 This is the 1/32 Scale Bf109E Seat w/Safety Belts by Quickboost. This is the 1/48 Scale F4U1A Engine for Airfix & Otaki by Quickboost.